Music videos, pictures, mp3s, remixes and 80s fun. I keep getting Emails from people asking me to re-upload the links and music etc. I think people are just getting to those particular pages so are not reading the reason for the dead links. So I am putting this in place so hopefully people will read it and stop Emailing me about it. The reason the links are dead is that my account with Media Fire has been closed with all 11,000 files lost. That is why you can not download the things and No I can not re-upload them. Eventually I will start doing that again when I have found something suitable. In the meantime this blog will be information only blog. The 80s Music and Fame Media Forum is now open for users to chat, make new friends, leave messages for each other and leave comments on the blog sites. To access it click the link below or use the link in the side bar. 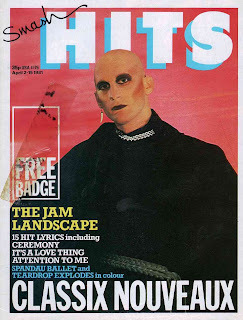 Well I have finally got around to putting up a Face Book page for the relaunching of the new Smash Hits Magazine Web Site. I am in the process of working on my Smash Hits Magazine site. This is a site dedicated to the Smash Hits Magazine where I am putting up each issue from the 70's and 80's. If anyone has these in MP3 format can you get in touch so I can add them to the site when I get around to doing those specific issues. Well I got an email from Deniece Pearsoon (ex Five Star). She is bringing out a new single on the 11th March of this year and has put u a trailer of the single on You Tube for people to hear. I really like the single and hope that she does well with it. I have put it up here so you all can hear the preview and look at supporting her. There is a new magazine that celebrates all that is great about the late 70's and the 80's and it is called Classic Pop. 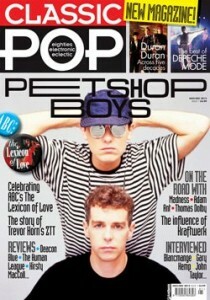 The first issue is out already and has the Pet Shop Boys on the cover. I've had a little look at it today and have to say that it does look good. I liked the article they did on Zang Tumb Tumb record label and have decided to get the first issue in the next couple of days. So people, what does everyone think about the new mag. Answers on a post card as they used to say. 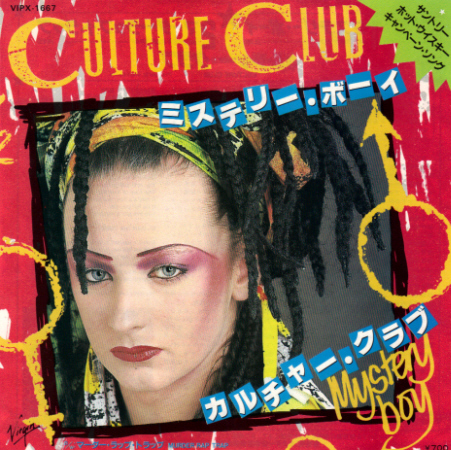 Well I have completed the next page of the Culture Club part of my new site. This time it is the North American and mexico release 'I'll Tumble 4 Ya'. Click the link below to take you to the page. will start working on the Kim Wilde part of the site next. Hi all. 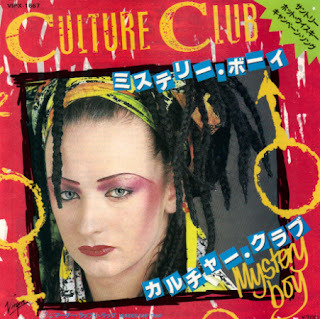 I have now completed the web page for the Culture Club Japan Only Single 'Mystery Boy'. 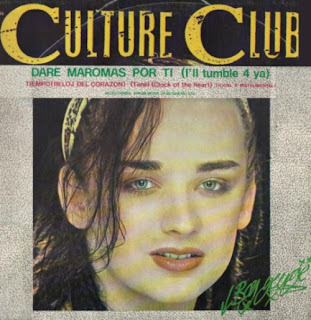 Just to let people know that the Culture Club single - Time (Clock Of The heart) is now complete on my other site for people to look at. Just click the link to take you to the page. 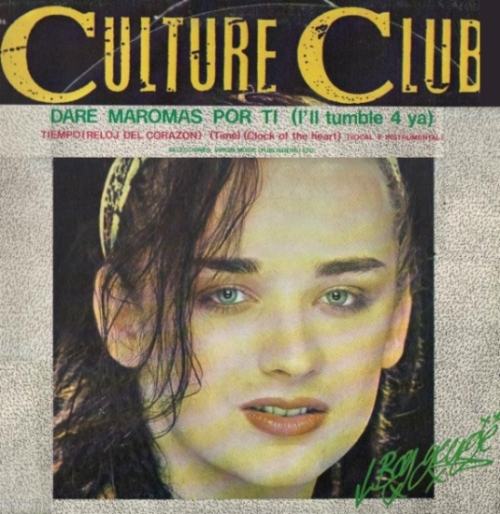 Well the new page for the Culture club single Do you really want to hurt me is now complete. Go to the following web page to view it. Well the single Piece Of The Action by Bucks Fizz is also complete on my new site. Go to the page below to check it out. Have also put the video on here as I put it on You tube but it was blocked. Crazy. Just to let people know that the page for Bucks Fizz - The Land of Make Believe has been completed on the new site. Go to the site and view the page. Well a couple of days ago Rick Astley's press and marketing assistant contacted me regarding the announcement of Rick's new tour. There are going to be 7 days in total taking in London, Birmingham, Manchester, Liverpool, Sheffield, Glasgow, Bournemouth. 80’s Pop Icon and multi-million selling artist Rick Astley has announced a full UK Tour for October this year. Rick Astley is a talent whose career has spanned over 25 years. Rick Astley has sold in excess of 19 million records and has a string of 8 consecutive number 1s under-his-belt. His amazing career began in 1987. 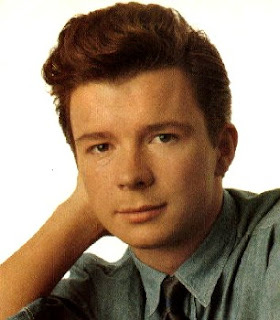 Shocked by the powerful, mature soulful voice of Rick aged just 21; the UK sent his debut single "Never Gonna Give You Up" to the top of the charts within 2 weeks of its release. The rest of the world soon followed suit with "Never Gonna Give You Up" reaching Number 1 in 16 other countries including most of Europe, Japan, United States and Australia. The following 2 years saw Rick continue to dominate the charts around the globe. In the UK, Rick was in the Top 40 every week for the first 6 months of his career. It was Britain's largest selling single of that year. The album "Whenever You Need Somebody" entered the UK album charts at Number 1 and sold over 15.2 million copies worldwide, making him the top selling British act of the year. It was a similar success story in the USA, as Rick became one of the few British artists to crack their market. Rick's American success was reinforced with a second Number 1 single, "Together Forever". "It Would Take a Strong Strong Man" became another Top 10 single and the album also reached a position within the Top 10 selling close to 2 million copies. After that Rick took a well deserved break but surprised British fans in 2004 with an 8 date tour which comprised of 'classic' songs from past decades including Sinatra, Bacharach and The Carpenters as well as a few from Mr Astley's musical resume and soon after more dates followed. In 2008 debut single ‘Never Gonna Give You Up,' became one of the most viewed pop video of all time on YouTube with over 51 million views to date due to the unstoppable phenomenon of ‘Rickrolling’. This has earned him a nomination at the MTV Europe Music Awards for ‘BEST ACT EVER’. 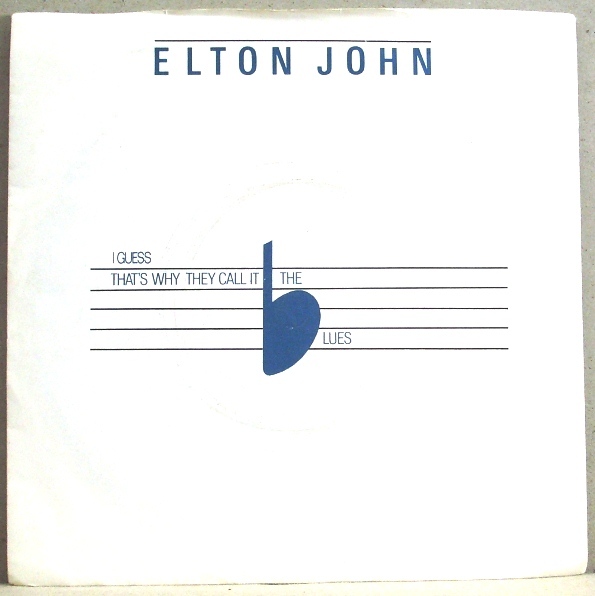 2012 marks the 25 Anniversary of the single. On my new site I have put up the first 2 issues of the Level 42 Fanzine 'The Pursuit Of Level 42'. 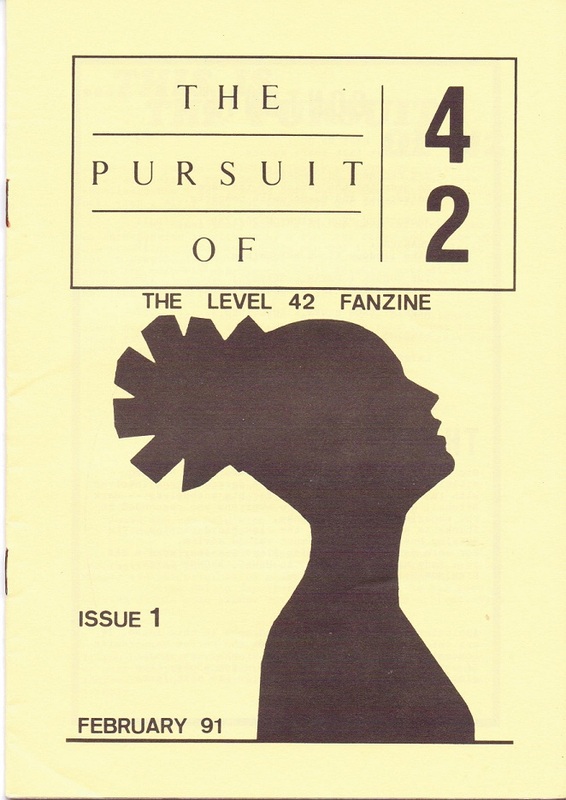 There was 12 issues of this Fanzine released in all. I have 9 of them which i will put up eventually. The Fanzine included reviews and articles as well as a discography which i contributed to back in the early 90's. I do have one request to those reading this blog. I do not have issues 10 - 12 of the Fanzine and would like scans of them to put up. 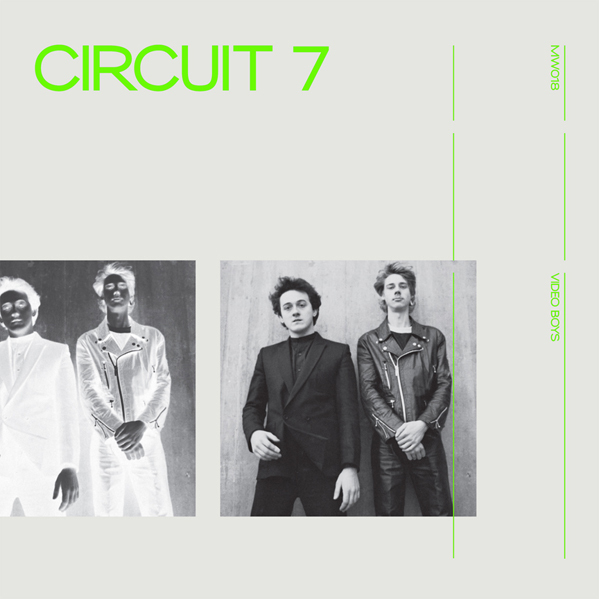 also if anyone has scans of the other two Fanzines, 'Soundcheck' and 'World Machine' then that would be great as I never got to see these and would love to include them. I am also looking for scans of the Fan Club stuff as well. In fact anything that people can give me would be appreciated. Thank you all people in advance. click the link to take you to the web site to see the first two issues. Well hello again. I know that it has been a while since the closing of my Media Fire Account. I have to say that I haven't managed to find another way of uploading stuff to so I am still looking. It is primarily a site for info about the bands and music but will be expended over time to include films and TV etc. I will, eventually, post the links to downloads on most of the singles and albums etc, when I find the right site to do that too. However, in the meantime I hope people will like the site that I am creating. Well that is it for now. This blog will still be going but it is developing into the other site for now. By the way can people stop asking me to fix links etc as I can not. Things will be put back up in due course when I find better storage place. Also stop being rude that links do not work. Read the posts first before slagging the site off. I have been on my account for Media Fire today and have found that the account has been suspended and all of the files on there has been deleted. I will now take the next few weeks to think about what I will do but for now this will be the last post for a while. All I can say is thank you for all the support you have given me since I started this blog and all the great comments you have sent also. Hopefully I will be back to posting but for now we will see how things go. 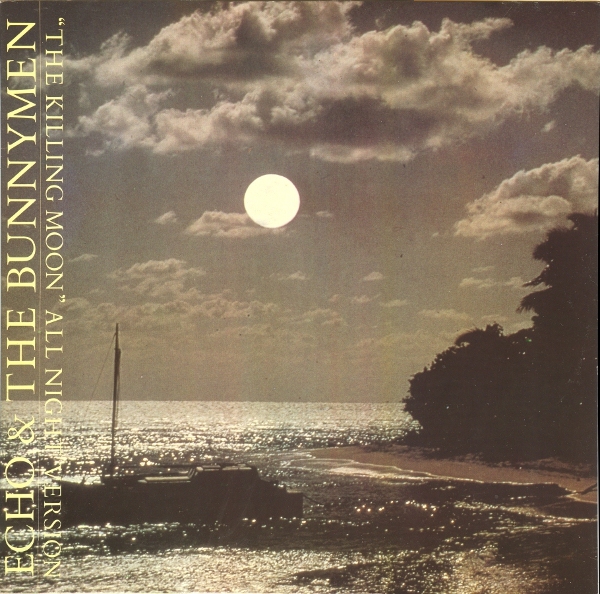 'The Killing Moon' is a single by the band Echo and the Bunnymen. 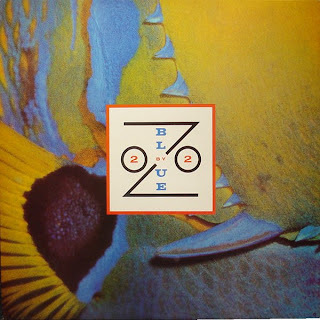 It was released on their 1984 album, Ocean Rain. It is one of the band's highest-charting hits, reaching number nine in the UK Singles Chart, and often cited as the band's greatest song. Ian McCulloch has said: "When I sing 'The Killing Moon' I know there isn't a band in the world who's got a song anywhere near that." According to the liner notes of Echo and the Bunnymen's Crystal Days box set, Ian McCulloch woke up one morning with the phrase "fate up against a whale" in mind. He wrote it down but then decided to change it to 'your will' later. 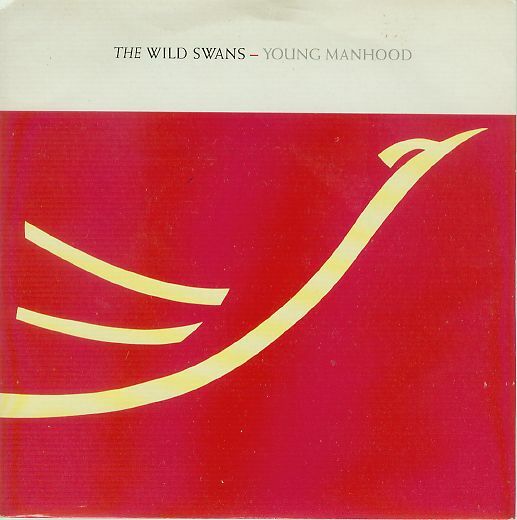 The Wild Swans released their second single in the now revamped line of the group, which fans refer to as The Wild Swans MK II, in 1988.
their second single entitled 'Young Manhood' was a departure from the sound the band developed during the first incarnation. Like the first single the second also failed to enter the charts. 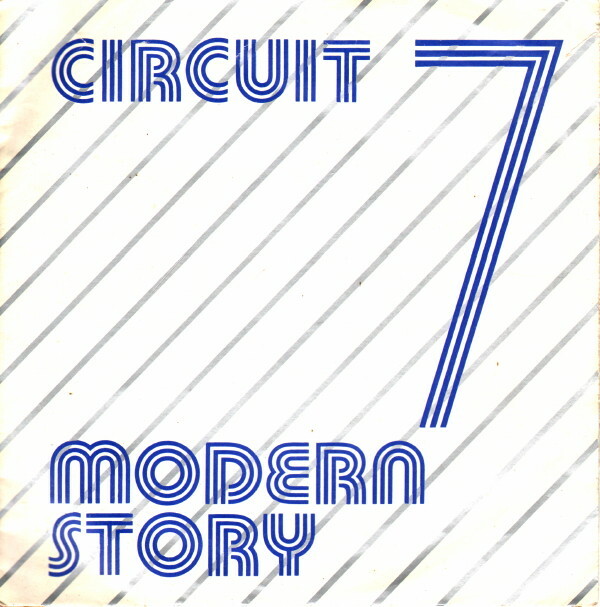 I've featured the only 2 singles to be produced by the band Circuit 7 before they disbanded. Today I've got an album released a couple of years ago entitled 'Video Boys'. This is a retrospective of the bands material with some extra's too. Shame the band didn't do better but I do feel that they were perhaps ahead of their time back then. 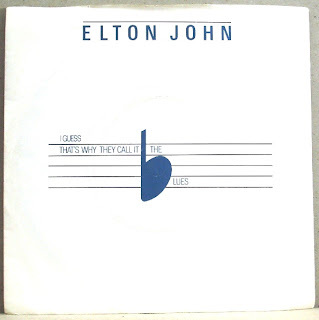 'I Guess That's Why They Call It the Blues' is a song by British singer Elton John (with lyrics by Bernie Taupin) featuring Stevie Wonder on harmonica. The song appeared on the album 'Too Low For Zero' Released as a single in April 1983, the song reached number five in the UK chart and number four in the US chart six months later. The song was also featured on the film soundtrack to Peter's Friends in 1992. The original music video tells the story of two 1950s-era young lovers who are separated when the man is forced to leave for military training, and then are finally reunited at the end of the song. It was filmed in the Rivoli Ballroom in London and is marked as one of the very few times John has been filmed or videotaped without wearing his trademark eyeglasses. The song received largely favourable reviews, with Bill Janovitz of Allmusic declaring the song "likely to stand the test of time as a standard." A fan favorite, John has also performed it live numerous times, occasionally playing it as part of a medley along with his hit "Blue Eyes" (from the 1982 album Jump Up!). It has gone on to be one of John's most-played songs on radio selections from the 1980s portion of his career. It is also quite well known for being played at Chelsea F.C. 's home matches. 'Rescue' is the second single released by the band Echo and the Bunnymen. It was released on 5 May 1980 and subsequently included on the Crocodiles album, which was released on 18 July 1980. It was the band's first single to chart, reaching number 62 on the UK Singles Chart. It was also their first release on the newly formed Korova label. 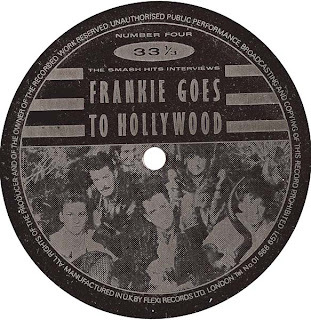 The single was reissued as a limited edition 7" single on 4 December 2006 on the same label and with the same catalogue number, KOW 1, and reached number 177 on the UK Singles Chart. A promo 7" version was also released by Korova in January 1983. The song was covered by the Scottish rock group Idlewild on their 2000 single 'These Wooden Ideas'. 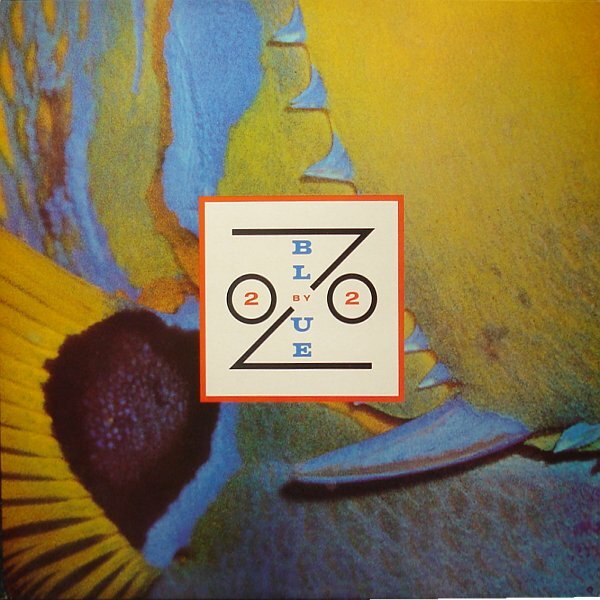 Four-man UK band Blue Zoo released just one album, Two By Two in 1983, produced by Talk Talk's Tim Friese-Greene. 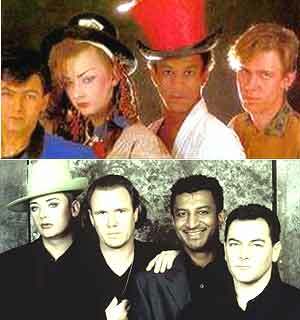 The album lead off with their sole single, 1982's 'Cry Boy Cry', which peaked at number 13 on the UK Singles Chart. 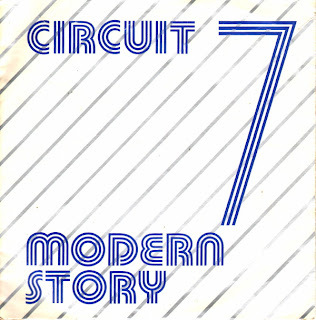 Here is the second of the Circuit 7 singles to feature on this blog and the last one as they only released 2. Like the other single featured 'Video Boys', 'Modern Love' also failed to light up the charts and the band disbanded and disappeared from the music industry, as far as I can find out. Doris D And The Pins released their album 'Starting At The End' in 1984. The single of the same name was also released and became a cult hit but tensions in the band ultimately lead to the disbandment in 1985. Still the album is fun to listen to. 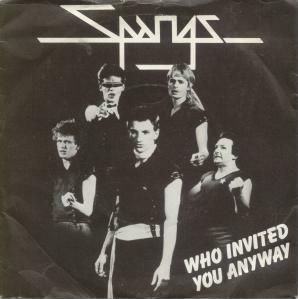 The second single by the Group Spangs was entitled 'Who Invited You Anyway'. 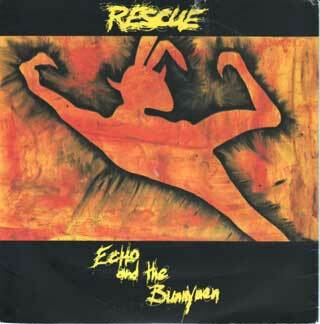 Released in 1981 the single didn't manage to light up the charts and the band disbanded not long after that. Other than this I cannot find out any other information on the group. Still this is another example of getting a single on the cover alone. A great find. Click the link to go to the fan forum to discuss your thoughts on 80's music. Wanted to give a heads up to a group of people that perform hits of the 80's. Magic of the 80's are a group a theatre group that provide corporate events and theatre productions dedicated to the decade that we all love and know. Performing a range of songs from the 80's this looks like a show that should not be missed. Head on over to the link below to gt all the information that you need. Any one want to review this show feel free to do so and I will post it on this little blog of mine. Well I thought I would add a want's list of stuff that I would like to hear. This will be an on going list as I think of things. If anyone has the items and is willing to share then please let me know via my email. Thank you. D.A.R.Y.L - Movie Soundtrack. Don't think this was released but did any one find the seperate tracks and made their own?